Welcome to my website. 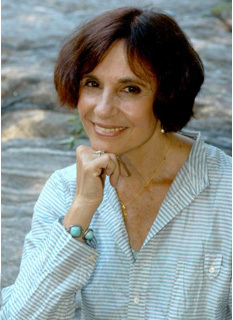 I am a psychotherapist, teacher, and writer and have maintained a clinical and consulting practice in New York City for more than twenty years. During this time, I have learned that there is nothing more important than our sense of personal freedom. Meaning begins with our sense of sovereignty, our ability to stand on our own, and above all, our relationship to the self. For as we grow into, and take delight, in ourselves - who we are and who we are becoming - we will become better companions to all: partners, spouses, lovers, family, friends, neighbors, local communities, and the global community. Growing into wholeness is the core of my work and where my passion lies. 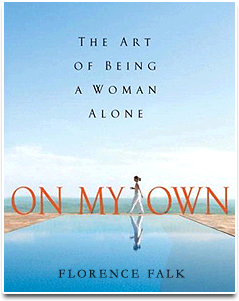 It is the reason I wrote On My Own: The Art of Being a Woman Alone. It is also what’s driving my current pursuit: a book about discovering our deepest and often hidden longings and why they matter. The return to a deep and abiding connection to one’s self is what my work is about. I invite you to read about my work as a psychotherapist and learn more about On My Own. Please take a moment to join my community and follow me on Facebook where I share thoughts, news and updates on my new book. Florence sits down with author Mark Matousek to discuss her work, her book On My Own and the new book she's writing on longing.